Sequins For All People Equal. Having had a little bit of time to reflect and think back on our whirlwind trip to Tokyo, we wanted to write a blog post and share a few memories! We arrived, jet-lagged and excited and were immediately treated with so much respect and kindness by our hosts at Billboard Live. 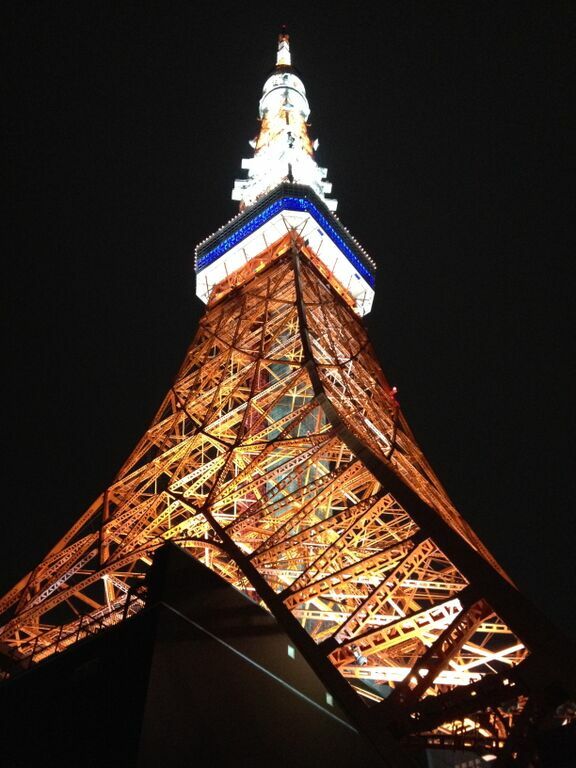 They picked us up and took us to our hotel, where we had a stellar view of the Tokyo Tower. After some incredible sushi, drinks and a short walk, we all passed out for the night. The next day we had soundcheck and then two awesome back-to-back shows. Both of the audiences were amazing (and a couple of people even had tickets to both performances). We were humbled by how attentive our Japanese fans are! They cheered for every song, sang along and stuck around for autographs after the shows. The day after our shows we girls had the honour of doing interviews with Cafe Paradiso on J-Wave FM (as well as an acoustic performance), Mikiki Magazine and Figaro Magazine. We also stopped by Tower Records to write a love note to our fans and take a few photos with our listening booth. We had a really fun photo shoot in the rain with umbrellas too! That night most of us (who weren't absolutely exhausted) went for a night of private room Karaoke, which was epic! We had drinks, celebrated and sang our hearts out. After Karaoke we went to McDonalds to try the famous Japanese Teriyaki Burger (did we mention we had a few drinks?) and were floored when our song came over the speakers and we were asked for more autographs by people who realized it was our band playing. We had a couple of days to hang out and enjoy Tokyo. We went to the arcade, shopped in Harajuku, a couple of the guys went to a baseball game, and we ate all of the delicious japanese food that we could! We had an absolute blast in Tokyo and we can't wait to return to Japan!! Big love and thank yous go out to our hosts at Billboard Live and our Japanese label P-Vine.